Sometimes you just don’t want to be the one slaving away over a hot open fire when you have a summer BBQ. With 100+ degree temperatures we don’t blame you. 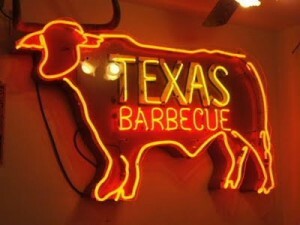 In the heart of Texas, finding an amazing bar-be-cue caterer isn’t hard. But choosing one for your grill out – now that’s a different story. That’s why we here at Royal Executive Transportation keep the best Austin BBQ caterers on speed dial. Getting Franklin BBQ catered is arguably the easiest way to get your mouth around their delicious meat. They are open just two hours a day during regular working hours and people start lining up early to wait in line – sometimes for hours. Not a day goes by that they don’t sell out. The scarcity has made Franklin BBQ something of a mythological legend. Be a hero for your guest and order Franklin’s BBQ. It may be the only way a few of them will ever get it. Some are speculating that Keith’s BBQ will give Franklin a run for its money. With a focus on high-quality meats and small batch cooking, just about everything on the menu is as good as the next. When it comes to catering they’ve got you covered whether you’re having a few best friends over or inviting the entire neighborhood. Branch BBQ and Catering has the classics mastered. Being that they’ve been in business for nearly 20 years that comes at no surprise. When you need to feed a good size group of meat lovers these are the guys to call. Great BBQ, portions and price are what you’ll find at Branch whether you’re eating in or getting them to come to you as caterers. Rudy’s is a go-to B-B-Q favorite for the locals of central Texas. There’s just something about the slightly tangy, not too sweet sauce. Their in-store set up of ordering by the pound makes for a natural segway into catering. With Rudy’s you’ll get tried and true b-b-q that you know every guest will enjoy. Surprise your guests with twists on traditional BBQ. The Sugar Shack BBQ has fun with their food, concocting creations like mustard-based cole slaw and white barbecue sauce that are as delicious as they are out of the norm. They started out catering seven years ago so they’ve got foods for big events down to a science. Its regular day-to-day operations happen out of a food trailer, and the lack of overhead costs helps them keep their prices very reasonable. What You Got To Try: The Notorious P.I.G. Mack’s B-B-Q and Catering is yet another food trailer/catering combo that delivers out of this world great eats from the grill. No knock to the meat, but the sauce is somehow just as good. The customer service also couldn’t get any better. Mack and his crew love B-B-Q and it shows in every aspect of what they do.